There are many reasons for missing teeth. There are many ways to replace missing teeth as well. Dental implants, complete dentures, and partial dentures are the main methods of replacement. The loss of teeth can present significant difficulties in life. At Drs. Bass and Donovan Dentistry, we are dedicated to providing the residents of Fort Myers not only with superior dental care but oral health education as well. Feel free to read below if you have missing teeth or know someone who has lost teeth. Dentures are designed for the replacement of missing teeth. There are two different types of dentures, complete dentures and partial dentures. Complete dentures are designed to replace all of the teeth in the upper or lower arch. Partial dentures, by contrast, are designed to replace one or more missing teeth on the upper or lower arch. 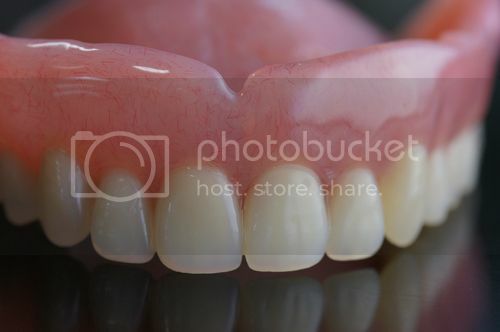 A denture is essentially a pink acrylic base that supports either acrylic or porcelain teeth. The dentures are held in place by the remaining gums, existing teeth, or dental implants. When teeth are lost, many complications appear. First, the social aspect can be significant. Many people find themselves hiding their smile and becoming self concious about the missing teeth. Speech can be hindered with missing teeth. The teeth are utilized in many of the phoenetic sounds. Chewing can be comprimized as well. Finally, when teeth are lost, the remaining teeth can drift into the openings that are created. Dentures can correct these problems and allow for the return to a more normal life. Dentures do have disadvantages and therefore there certainly are alternatives to dentures. When teeth are lost the remaining bone will begin to resorb. This is due to the lack of stimulation that the teeth provide. Essentially the bone will slowly dissappear. This can make future treatment difficult. Dentures do not correct this and it could be the largest drawback to dentures. This is possibly the best benefit of dental implants. In addition, implants provide sensations that are closer to healthy existing teeth. Implants and dentures can be combined and correct all of these problems. If you are missing teeth and would like a consultation, feel free to contact us at (239)939-4737 or contact us electronically.